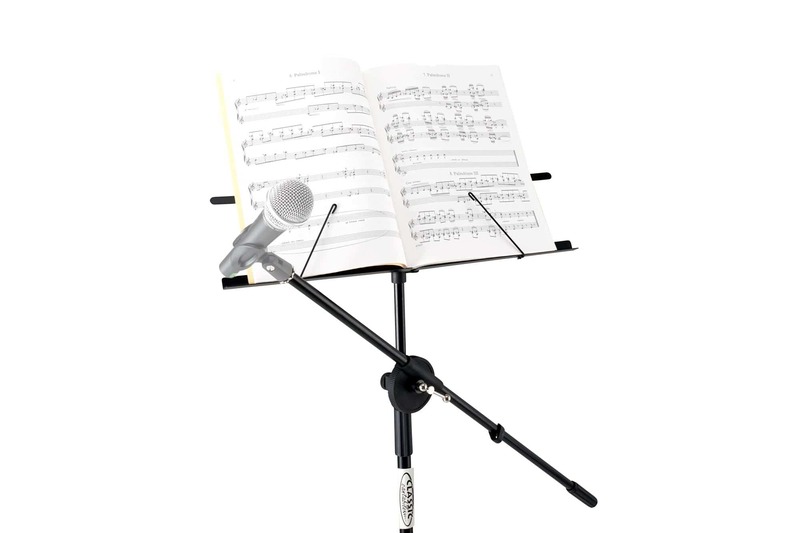 Music stand and microphone stand in one! 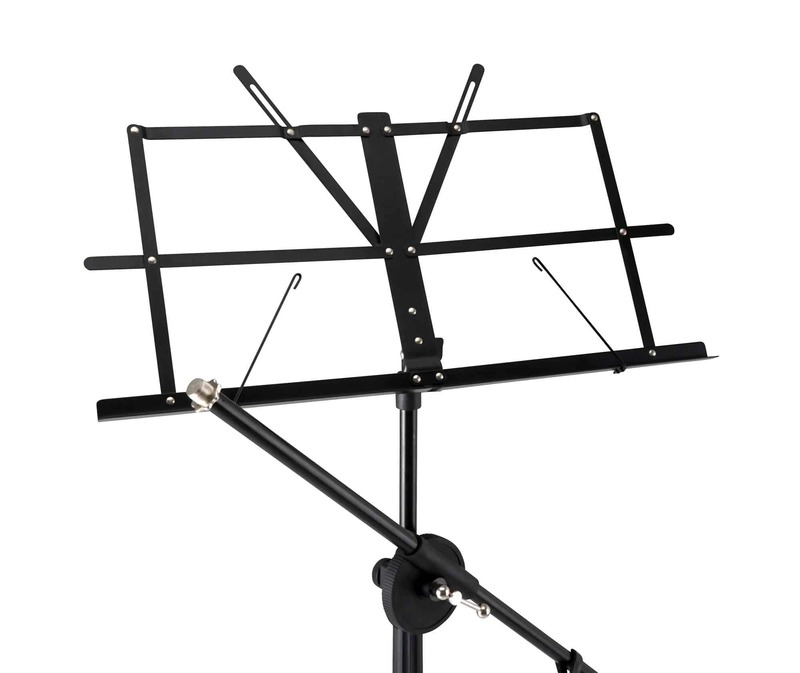 The Classic Cantabile NSM-100 Music Stand is the ideal solution for singers and instrumentalists, who want to work smarter not harder. 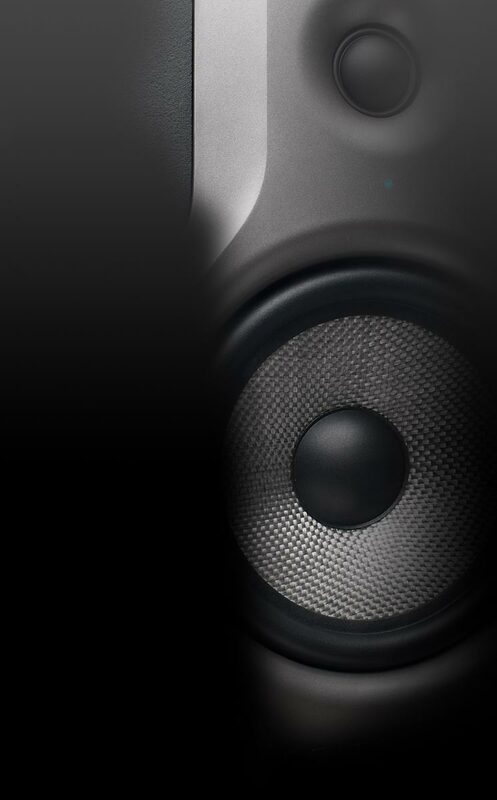 This two-in-one is especially useful on small stages, where space is a premium. Instead of cluttering the stage with stands, you can keep your space tidy. This stand is also perfect for traveling! The music rest can be easily folded out and folded up again. The extra large area ensures that you can hold large A3 scores without any worries. Two fold-out music holders additionally keep your music open and keep it from being blown by the wind. 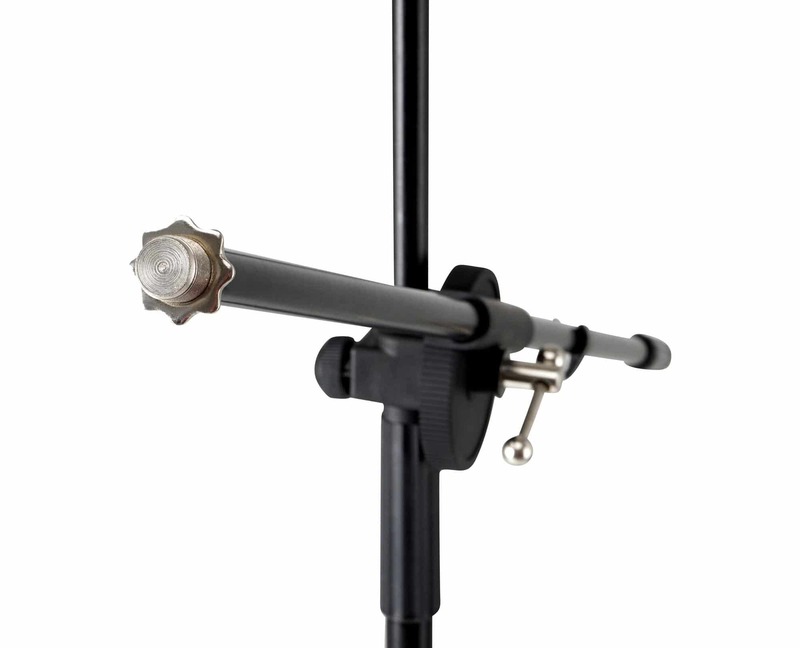 The long boom (80 cm) with 5/ " thread can be adjusted independently from the music rest, and a second screw allows accurate adjustment of length and angle. 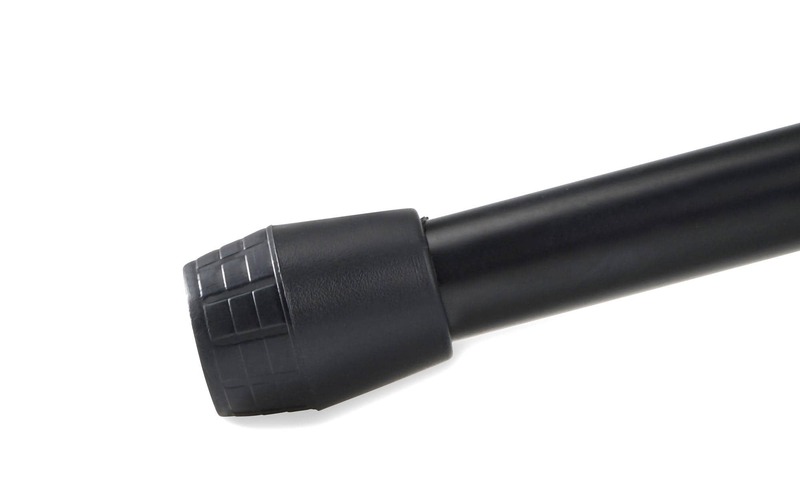 Your microphone – exactly where you need it. 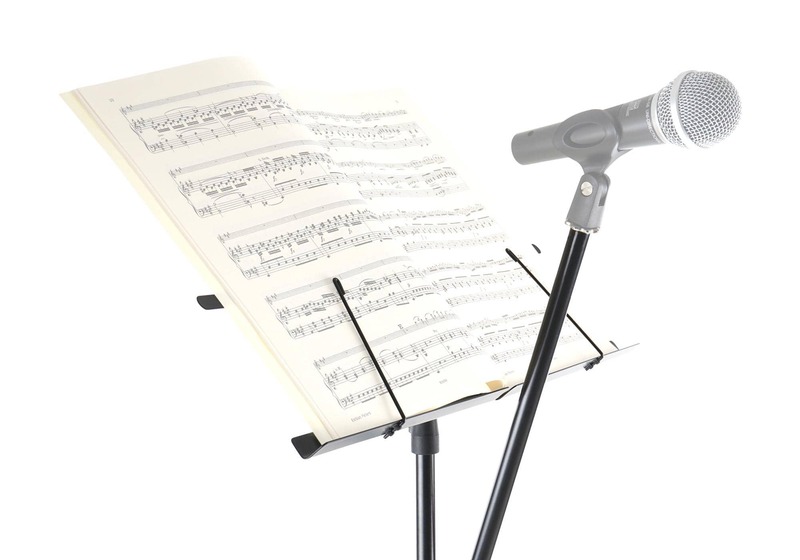 The height of the music stand can be set between 99 and 193.5 cm (from the lower edge of the music rest). This enormous height allows for easy assembly on steps and platforms, where you need to overcome height differences. 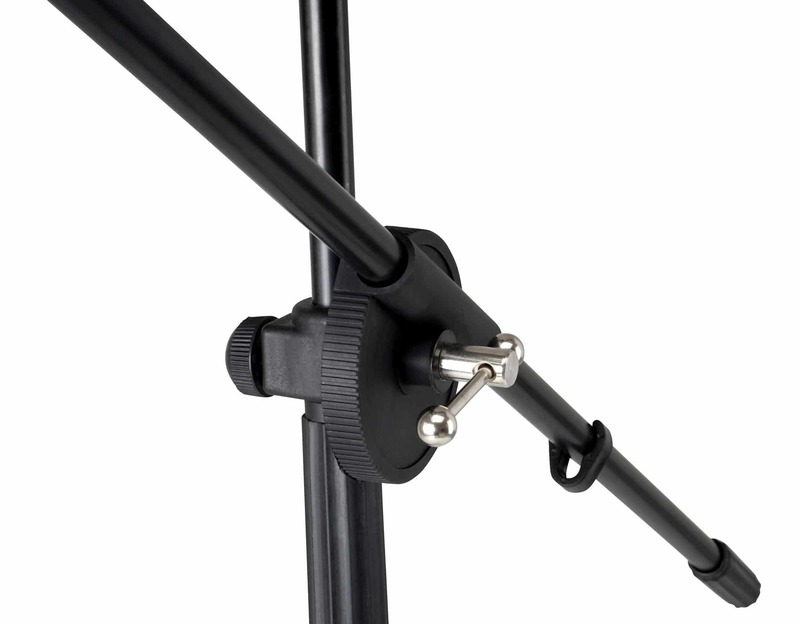 Additionally, the NSM-100 stand has two cable clamps are equipped for visual appeal without tripping hazards. 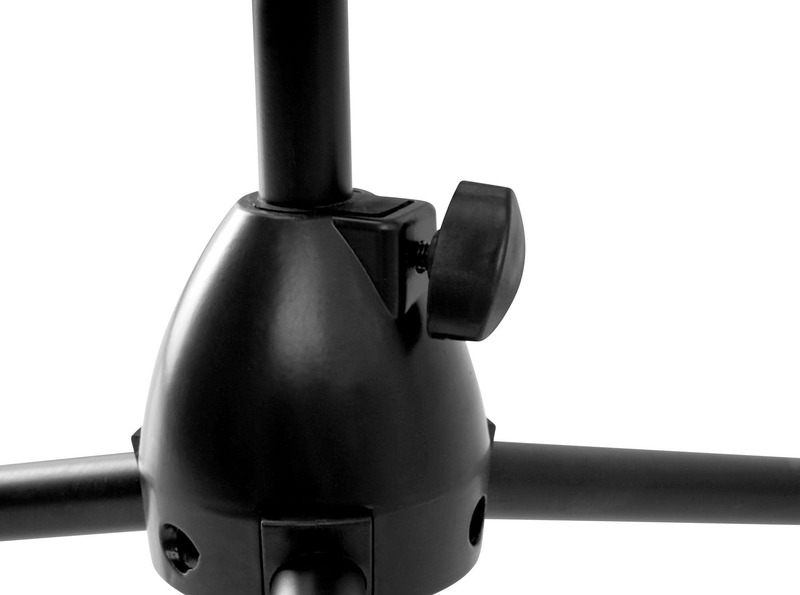 For stability on any surface, you can count on the three-legged construction with a metal base. The ideal solution – especially for soloists, church musicians and choral directors!